I’ll admit it. I’m a sucker for the buddy-film format, especially buddy-comedies. The Judd Apatow production team has got the formula down to a science (Knocked Up, Superbad, etc.). I understand those of you who find the formula to be clichéd, but to me, I’m just grossly entertained by two dudes who are friends having adventures and ripping on each other over the span of a few hours. So it’s no surprise but I thoroughly enjoyed ASMs #680 and #681 since they take the buddy-comedy format and apply it to two of Marvel’s most classic characters in Spider-Man and Human Torch. As I’ve noted before, Spidey and Johnny Storm are a natural pairing and it’s no surprise that the two had a youthful rivalry back when they first debuted in the early 1960s which has since evolved into a friendship. 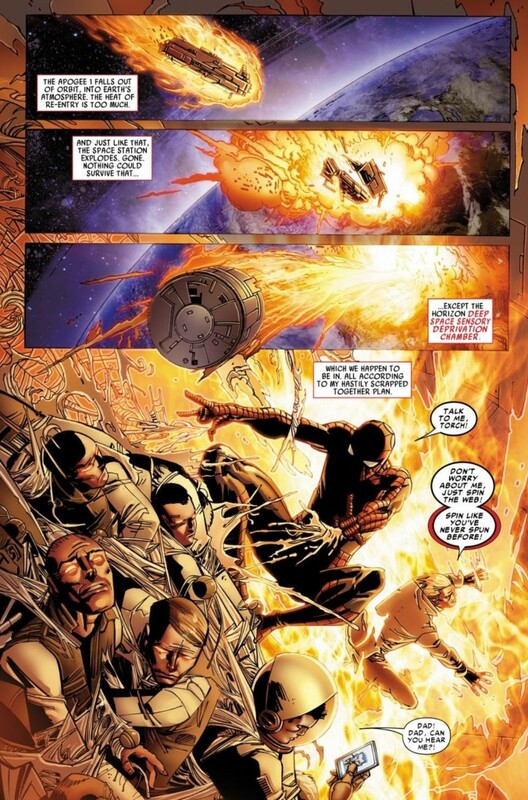 Spider-Man replacing Torch on the Fantastic Four was poorly handled by Marvel because outside of the very beginning, Jonathan Hickman and the rest of Marvel’s creative forces never did much to address the history and connection of the characters inside the pages of the FF series. 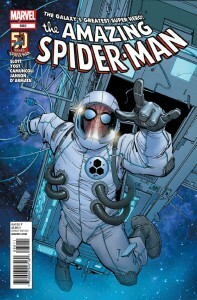 So with Johnny alive and well and back in the saddle, I’m glad some of Marvel’s less “serious” writers like Dan Slott and Chris Yost were around for these two issues to try and capture the magic (speaking of which, with Johnny mocking Spider-Man for “replacing” him in the Fantastic Four are we to believe that Spidey has officially be relieved of his duties from this other superteam?). 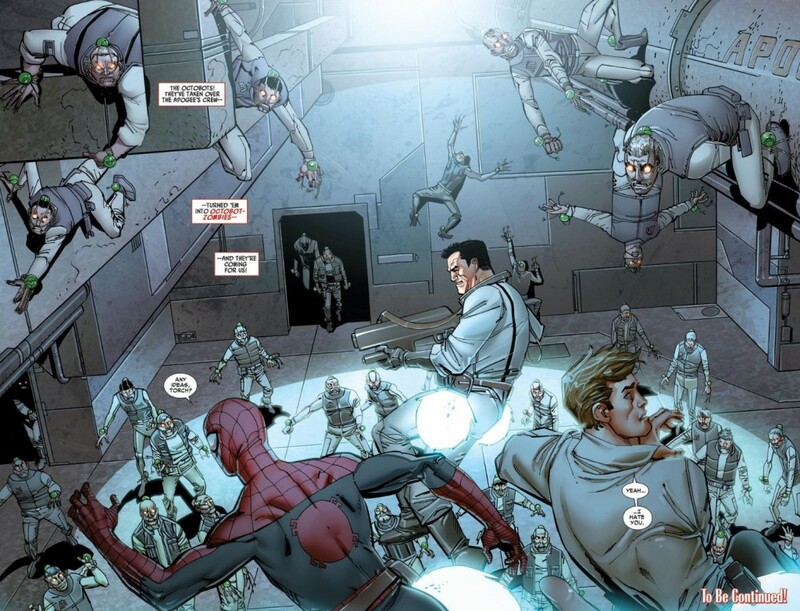 Not to give Marvel any after-the-fact ideas, but perhaps this dynamic and Spider-Man’s own loss could have been explored more if he was given his own title that focused on his FF adventures a la what Avenging Spider-Man does with the Avengers. Hickman’s work on FF has earned a lot of praise for its size, scope and grand gestures, but as a peripheral Fantastic Four fan and a primary Spider-Man nut, the series has been consistently leaving me cold for over a year now. As for Spidey and Torch, ultimately, it’s the banter and wit that really makes their relationship click. Both were sucked into the world of superhero-dom in their teen years, but while one has always embraced it by not hiding behind a mask and a secret identity, Spider-Man has always been portrayed as more of an unwilling hero who only took ownership due to his inherited belief that with great power comes great responsibility. Additionally, the friendship between the two has always felt “earned” since Stan Lee and Steve Ditko took their time to develop it. Rather than just placing the two of them together in a situation and making them get along because “hey, you’re a teenage superhero, I’m a teenage superhero, let’s be friends,” the duo had to prove their substance to each other first before they became like brothers from another mother. These two ASM issues are chock full of funny lines and pop culture references that of course run the risk of making the comic feel dated if I pick it up a few years from now when Dancing with the Stars and the Super Bowl winning Packers are more trivia questions than everyday knowledge. But that’s beside the point. There’s a certain amount of joy to these two issues, and a lot of that is directly connected to the fact that it captures the camaraderie between two characters that has been criminally ignored otherwise the past few years. 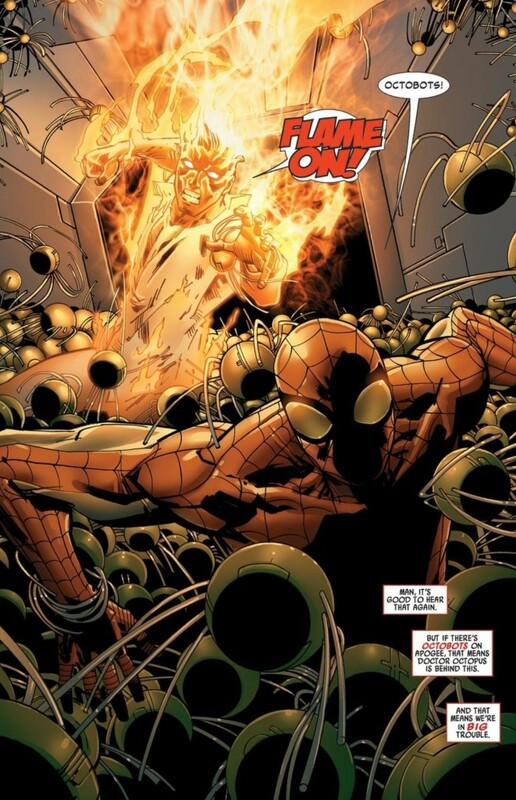 I hope some combination of Slott and Yost (or both) pair Spider-Man and Torch together more in the future, or maybe even find a way to work them in to the Avenging title since that comic is essentially a rebooted Marvel Team-Up, which is where Peter and Jonny really developed the dynamics of their relationship which we know and love today. I really like this duo but I have to admit; I can’t have “too much” of them. For instance, I read bits and pieces of Spider-Man/Human Torch the series from the mid-00s and wasn’t impressed. Though I have yet to read these, it will be cool to read some recent stuff of them “hanging” out.